Demolition of Mai Po Visitor Centre 拆除米埔遊客中心 - MPNR 米埔自然保護區 - HKBWS Forum 香港觀鳥會討論區 - Powered by Discuz! Many of the regular visitors to Mai Po may be unaware of the plan by WWF to demolish the existing Peter Scott Field Studies Centre (PSFSC), the main visitor building at the entrance to Mai Po NR. As far as I am aware, the PSFSC building and the Mai Po car park are scheduled to be closed sometime within the next month or so, with demolition of the building to take place starting this spring. A new building will then be build in this place, covering a large part of the existing car park area. The site will probably be closed to visitors for at least a couple of years. As far as I am aware, WWF have still not published anything to inform the public, and most people I have spoken to are unaware of the project. I think it is essential that users of the site are aware of the upcoming disruption, hence this message. I have been trying to contact WWF over recent weeks to get more information on the exact schedule but they have not been replying to any of my emails on this matter since November, despite the rapidly approaching time of the project. In my opinion WWF are exploiting a loophole in the EIAO that allows them to carry out this demolition/reconstruction without the need for an EIA because of the land zoning on the car park & visitor centre. This is the only location within the Ramsar Site where an EIA is not legally required. Although this work is part of a larger project including construction within the Reserve boundary (https://www.epd.gov.hk/eia/register/profile/latest/esb301/esb301.pdf), they have excluded the PSFSC redevelopment from that project purely for the purpose of avoiding an EIA on the site (a practice that has been criticised when used by other developers elsewhere). I have been repeatedly asking them to produce some form of impact assessment for the PSFSC project, to demonstrate best practice for other developers in the Deep Bay area. To date they have refused to do so - as a result, the plans and justification for the project, and the potential impacts to traffic, sewage, disturbance to wildlife and other environmental impacts will not be made public. I hope that someone from WWF will be able to respond to provide more information about the planned project and the expected disruption that will be caused to site users. The news is that PSFSC and its carpark will not need to close in February after the Big Bird Race as we initially thought. The reason for this is slippage in the programme. As things currently stand, this closure is not expected to happen until April or May and as such users should be able to enjoy parking this year up until the end of the Bird Season. WWF remain committed to giving stakeholders at least two months’ notice of the actual closure and the alternative arrangements. We are also happy to brief stakeholders on developments on PSFSC and the Project as a whole just after CNY. On the subject of the EIA there are only two elements of the Upgrade Project that are directly subject to an EIA under the EIAO and those are the proposed footpath renovation, planned to run from April –October 2020 and the proposed construction of two new Tower Hides planned to run from April –October 2020 and April-October 2021. WWF of course recognize that PSFSC Demolition and Construction should be recorded as a concurrent project in the EIA and we are committed to providing as much detail as we can of the PSFSC works including the extensive use of noise barriers and dust prevention measures. WWF are currently in the process of finalizing the major components of PSFSC Detailed Design such as the Foundations and Superstructure and when we are sure of this we can update the PSFSC Concurrent Project and submit the EIA. Thank you to WWF for responding to this post. It's a shame that you have not done so in response to my emails in December and January asking for updates on the project. 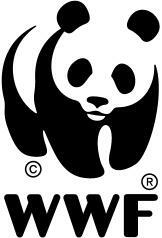 I am still very disappointed with the way that this has been handled by WWF. No information on the project has been made available to the public and the timetable remains unclear. I notice that your response still contains no justification for demolishing the existing building, no details of the proposed plan for what will replace the building, and no information about the expected duration that the car park and visitor centre will be closed. I have prepared a petition asking WWF to prepare an EIA for the works at the Peter Scott Field Study Centre, so that site users and other members of the public are aware of what is being proposed. If any site users are willing to sign this petition, it can be found at the link below. Thank you for your support. "WWF remain committed to giving stakeholders at least two months’ notice of the actual closure and the alternative arrangements." As it appears there are to be alternative arrangements is there any reason why they can't be disclosed now? Why the secrecy? Thanks. WWF have been incredibly secretive about this major proposal and it is only thanks to John that we are aware of it even now, at this very late stage. My confidence in their management of the Mai Po site has been severely damaged. Six weeks on from first raising this issue, and there is still very little information available from WWF about this project. With the start date scheduled for April or May, we are now about 2 months from the project start, and WWF stated that they "remain committed to giving stakeholders at least two months’ notice of the actual closure and the alternative arrangements" so hopefully more information will be released soon. I spoke briefly with Peter Cornthwaite, the CEO of WWF-Hong Kong, about this after the Big Bird Race last weekend. He informed me that WWF will start some consultation on the project fairly soon. I don't know exactly what this will involve or when it will take place, I hope that WWF will seriously consider any feedback that the public gives in response. Processed in 0.028559 second(s), 9 queries.